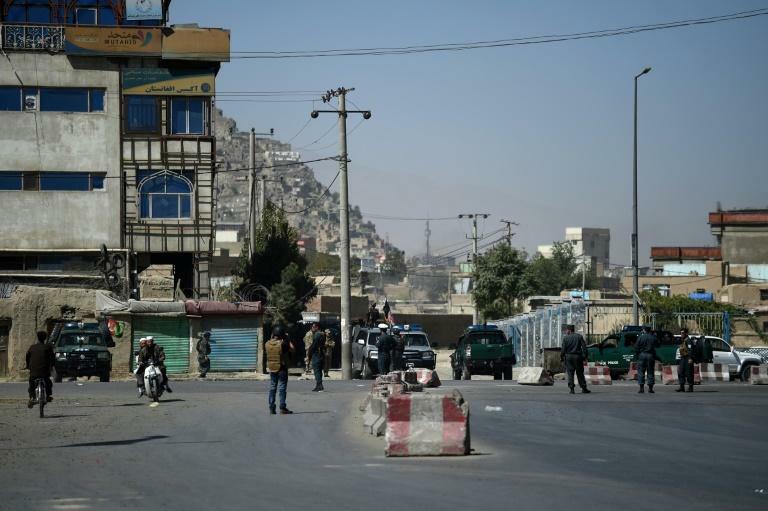 A suicide attack on a Kabul wrestling club that killed at least four people Wednesday was followed by a second blast as rescuers gathered nearby, police said, in the latest assault on the Afghan capital. Another 18 people were wounded in the first explosion inside the sports hall located in a heavily Shiite neighbourhood of the Afghan capital, interior ministry spokesman Nasrat Rahimi said. There was no immediate claim of responsibility for the blasts, but the Islamic State group often targets Afghanistan's minority Shiite community. Kabul police spokesman Hashmat Stanikzai confirmed the second explosion outside the venue, which happened just over an hour after the first. "There were security forces, people, and reporters (nearby). We don't know the nature (of the blast) or possible casualties," Stanikzai said. Health ministry spokesman Wahid Majroh confirmed that at least four people had been killed and another 18 wounded in the first blast. "I was outside when the first explosion happened, which has killed over 30 people, many of them wrestlers," Pahlawan Shir, director of the Maiwand wrestling club, told AFP. "I was searching for my coach, I have finally found him in the... hospital. He is in a critical condition." Social media users who purportedly witnessed the attack said the bomber killed the guards at the club before blowing himself up inside. He "detonated inside where a large number of athletes had gathered. There are a lot of dead and wounded", Mohammad Hanif said on Facebook. A photo posted on Twitter purportedly showed several victims being loaded into the back of a police pick-up. The last major attack on Shiites in Kabul was on August 15 when a suicide bomber blew himself up in an education centre, killing dozens of students. IS said it was behind that attack, which drew international condemnation and came amid a wave of deadly violence across the country. Most of the victims were studying for college entrance exams when the blast happened. That was followed a day later by an attack on an intelligence training centre in Kabul. Civilians have long borne the brunt of the violence in Afghanistan -- especially in Kabul, a target of both the Taliban and IS. Wednesday's attack comes a day after the Taliban announced the death of Jalaluddin Haqqani, who founded the eponymous militant group which is widely suspected of being behind some of the attacks in Kabul claimed by IS. Afghan special forces arrested 11 Haqqani militants in Kabul and nearby districts, the country's intelligence agency said Wednesday. The Taliban has been conducting blistering attacks on security forces across Afghanistan, including the massive, days-long onslaught on the eastern city of Ghazni last month.